In a Nutshell: When Phillip Parker worked as a sales agent in the merchant account industry, he saw firsthand how businesses were being burdened with hidden fees, poor customer service, and misleading sales tactics by credit card processing services. Phillip founded CardPaymentOptions.com to keep small businesses from being taken advantage of by providers. This website aims for complete transparency by offering straightforward reviews that take into account the provider’s marketing practices, rates, customer complaints, and BBB rating. Don’t be misled into an overly expensive contract; instead you can easily find out if a provider is reputable by turning to the reviews on CardPaymentOptions.com. Years ago, Phillip Parker was recruited to be a sales agent for a merchant account provider. He thought it would be a way to earn a little extra money, but this contractor job wound up changing the course of his career. As a sales agent, he worked his own hours, got paid on commission, dealt with small businesses he was familiar with, so — at first — it seemed like a great gig. However, he soon found the merchant account industry to be an unsavory business. With distaste in his voice, Phillip describes a hiring mill where sales agents come and go in rapid succession, without much screening. Because the commission of most credit card processing agents is based on the pricing they set up with the merchant, such independent agents have an incentive to burden businesses with needlessly expensive plans. No one was stopping merchant account providers from taking advantage of business owners, so Phillip decided it was time for some oversight. He built a website that reviews providers with honesty and the small business owner in mind. Based out of Austin, Texas, CardPaymentOptions.com is a uniquely helpful resource for businesses of all kinds. Passionate about disrupting the merchant account industry and building a coalition toward transparency, Phillip promises accurate assessments of all the providers on his website. On a mission to stop hidden fees, Phillip set out seven years ago to create a trustworthy resource for any business in search of a merchant account provider. Originally, he was the one writing most of the reviews going up on the site, but these days he’s stepped back to take on a more executive role. That’s a heavy workload because the site boasts having over 550 reviews for restaurants, retailers, non-profit organizations, and businesses of all types. 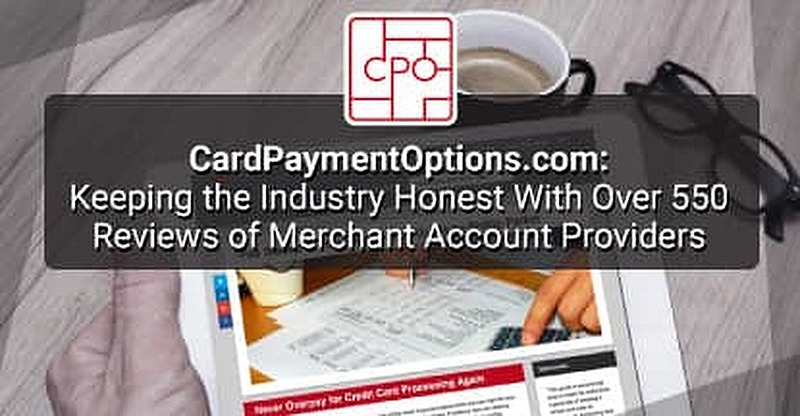 CardPaymentOptions.com grades merchant account providers based on their sales, marketing, costs, contract, complaints, services, and Better Business Bureau rating. Implacable against reproach, CardPaymentOptions.com adheres to a strict Grading Scale, which is available for anyone to see online. The website does not review favorably or unfavorably based on whether they’re paid by the provider. Phillip puts great emphasis on the site being independent, unbiased, and fair to all. Despite the pressure put on him by companies wishing to improve their reviews, the grade stands regardless of bribe or threat. 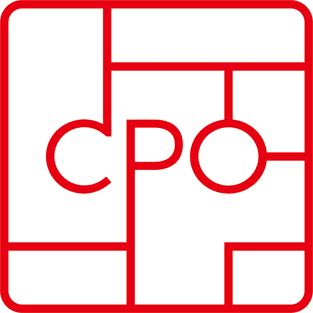 An A-rating by CardPaymentOptions.com means merchants are “highly unlikely to encounter problems caused by the provider.” On the other end of the spectrum, an F grade indicates that the provider is unethical — or even a scam. Phillip uses his own experience in the industry to research and review providers with integrity. He looks specifically for aspects that matter most to business owners: Is the marketing ethical? Do sales agents work by contract or commission? Are they up front about rates and fees? How many complaints have been lodged against them? Anything relevant to the business is taken into account in the review. In clear language, CardPaymentOptions.com outlines the upsides and downsides of hundreds of providers for the benefit of small businesses. When entering into a deal with a merchant account provider, there’s a lot in the fine print to watch out for, such as the cost of buying versus lending equipment. Phillip has four key pieces of advice for a new business selecting a credit card processor. Look for a provider who is forthright about fees and rates: “If it seems like things are too good to be true, they probably are,” he says. Additionally, Phillip warns businesses to get any promises made by the agent in writing in the contract, otherwise, they may not be honored. Small details like that can trip up a business trying to get a fair deal, so he urges people to be informed. Phillip dedicates his time, effort, and expertise to telling people what to expect from a provider from start to finish. If you want his personal advice as an expert in the field, you can hire him for a Comprehensive Consultation. For more general recommendations, he points people toward his book, Fee Sweep. As his site’s popularity grew, Phillip found his inbox increasingly filled with pleas for advice. Desperately lost merchants reached out to him for guidance when dealing with deceptive rate quoting or misleading marketing. Fee Sweep offers guidance on how to negotiate a fair rate for your business. As the requests for advice poured in, Phillip realized he didn’t have the time to answer them all. Still, he couldn’t just let these people fend for themselves — he knew he had to help. That’s when he decided to write a book to educate people about the industry. Fee Sweep is a comprehensive resource useful to anyone looking for clarification about fees and rates. In it, Phillip plainly explains the nuances of the industry he understands so well. He answers common questions, addresses general issues, and recommends best practices. 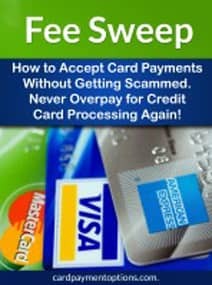 Phillip tells us his book is particularly geared toward small businesses running in excess of $5,000 in credit card sales per month, but that the advice in the book can help business owners of all sizes better understand costs associated with accepting card payments. In his book and his website, Phillip works to uphold what’s right and fair in the merchant account industry. After seeing for himself the untrustworthy practices of merchant account providers, he now fights for small businesses. His website continues to expand its reach in the industry through informed and ethical reviews. With a recently launched site redesign, after months of coding and polishing, CardPaymentOptions now looks and runs better than ever. Another new development on the site is the implementation of the Annual $500 Scholarship Award for students in the U.S. and Canada. Every fall semester, CardPaymentOptions.com will give money to the student who writes the best essay about how small business owners deal with fees and payment options.